This year has been a very good one for platform games inspired by the best titles of the past 15 years. Starting with Yooka-Laylee to A Hat in Time and, of course, the excellent Super Mario Odyssey, fans of the genre have had plenty to be happy about in 2017. If these titles are a bit too complex for one’s taste, then Super Lucky’s Tale is the game to get: while not as good as some of the platform games released this year, the game developed by Playful Corp. is an enjoyable adventure that players of all ages can enjoy. Super Lucky’s Tale is the sequel to Lucky’s Tale, now available on Oculus Rift. In the game, players take on the role of the fox Lucky as he tries to rescue the Book of Ages and his sister from a band of mischevious cats who hold them both. During his journey, Lucky will explore a variety of colorful locations, collect a lot of different items, defeat enemies and more in the best platform games tradition. Just from the story, it’s quite clear how Playful Corp. aimed to make a game as simple as possible. 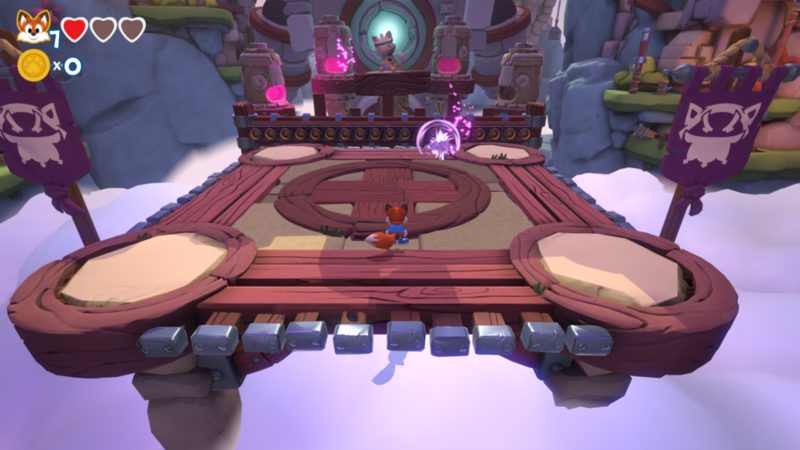 The game’s progression is, just as the story, simple and straightforward: players will have to complete a series of stages connected by different hub worlds and collect Clovers, which are used to unlock following stages and boss battles. Each stage also includes other types of collectibles, such as letters forming the word Lucky, coins and more. 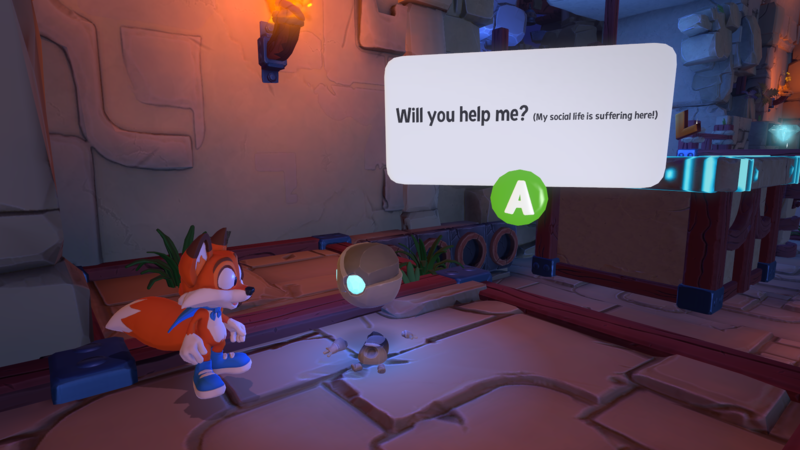 In this, Super Lucky’s Tale offers the quintessential platform game experience. Simplicity is also the only proper way to describe the game’s level design: most stages are very straightforward, accompanying players to the main goal with the placement of the collectibles and enemies. This is not to say that the design is bad, as it’s actually pretty varied. Stages range from typical 3D stages in the vein of Super Mario 64 to 2D stages, side-scrolling stages, speed-running stages and puzzle based stages. The game’s pick-up-and-play nature is also made clear by the simple moveset at players’ disposal. Lucky can only perform a double jump, burrow underground to bring collectibles to the ground, and unleash a spinning attack. Super Lucky’s Tale main strength is also, unfortunately, its major weakness. As each world’s final boss can only be reached, as for tradition, by collecting enough Clovers, there may be times when players will have to replay stages to collect missed Clovers. With each stage’s simple design, this can become a drag. The general low challenge level also doesn’t help, making stages lose their novelty once they have been completed for the first time. It also doesn’t take that long to complete the game, and the lack of any major secret makes any playthrough after the first repetitive. The game’s presentation is also quite simple, with a colorful art style that well suits its light-hearted tone. A couple of glitches, such as shadows not showing properly, do get in the way sometimes, like in the first boss battles. The camera is also not the best, as it can be controlled in a very accurate way. Thankfully, these are only minor issues that don’t get in the way too much. The PC port of the game is also well done, running smoothly at 1080p, 60 FPS at maximum settings on a machine powered by an i7-3770 CPU, GTX 980 Ti GPU, and 16GB RAM. Super Lucky’s Tale is a game that’s been released at the wrong time, as it has to compete with a masterpiece such as Super Mario Odyssey. Still, those who don’t own a Nintendo Switch or are looking for a more straightforward platform game will find plenty to like in the game, as will those who just love the genre as a whole. PC version tested (review code provided by the publisher). You can purchase the game on Amazon. 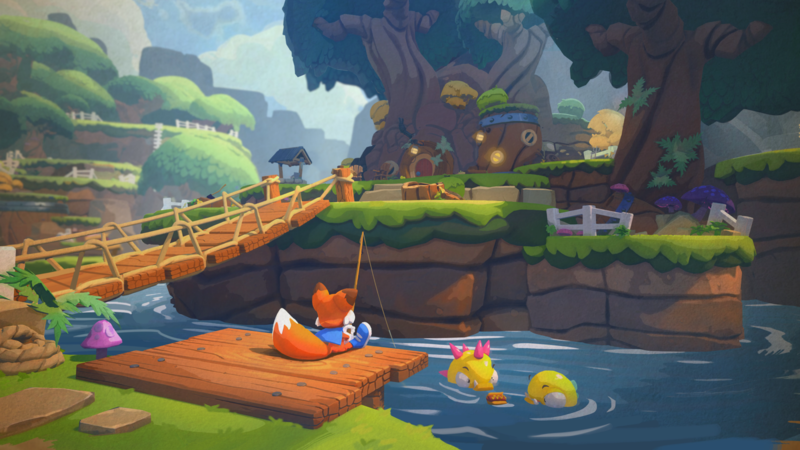 Super Lucky's Tale is a simple yet engaging platform game that players of all ages can enjoy thanks to its pick-up-and-play experience. The game, however, may be too simple for some, and the easy and short experience may be a turn off for others, especially for those who have experienced other excellent platform games this year such as A Hat in Time and Super Mario Odyssey.